I didn’t write on my blog yet this Christmas because I didn’t want to make people sad, and yet I couldn’t force myself to be unnaturally chipper. So here I am again, crawling out from under the Christmas tree like a grumpy hedgehog with decorations stuck all over, to share with you what it was really like. I wish I could say Christmas was all sparkles and magic, and that it was filled with Hallmark moments. 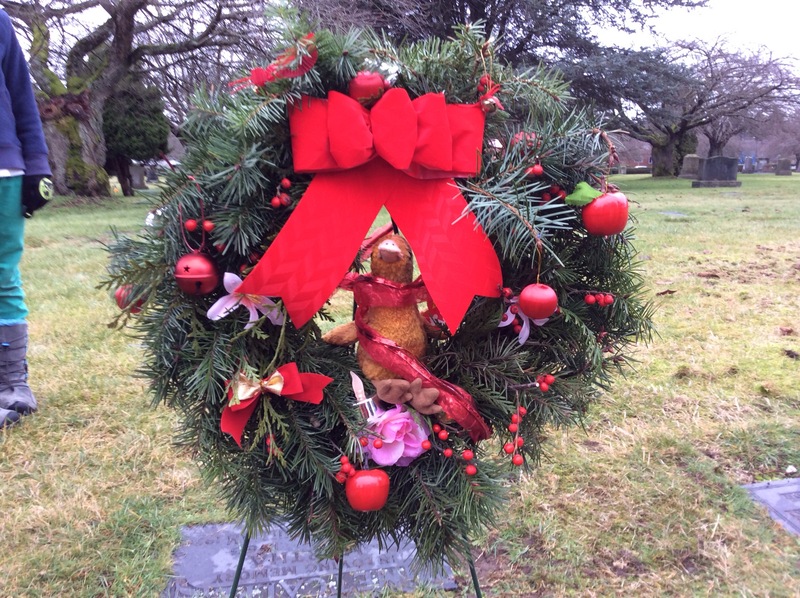 I wish I could say that it’s wrong that Christmas is hard when you’re grieving, but I can’t. 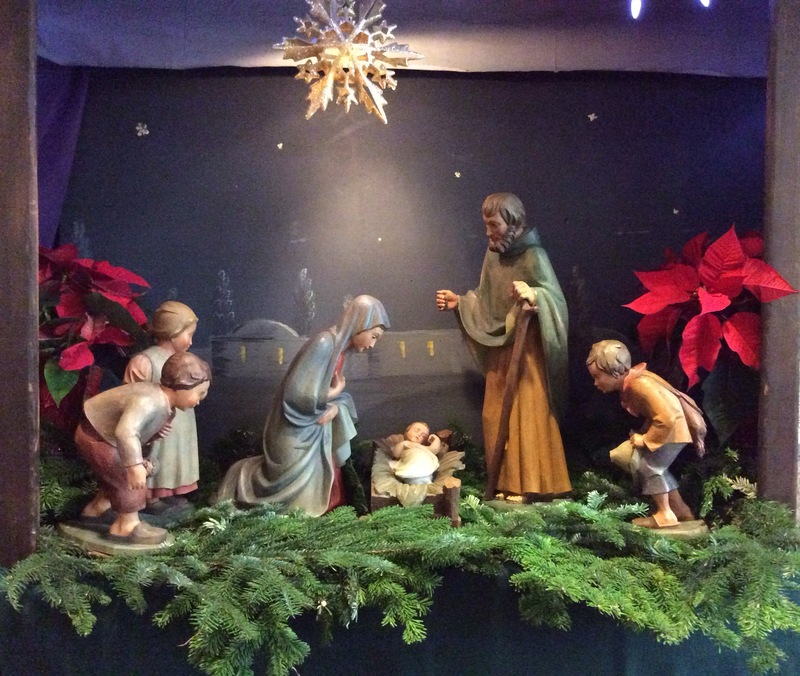 Normally, the manger scene with it’s beautiful image of family, the warm circle of love around a newborn baby, brings me such consolation, but this year it hurt to look at it. I could relate better to the empty manger beforehand, but the sweet statue of the baby Jesus just makes me long for mine. This year, before the child came down from Heaven, mine went up. And this bittersweet exchange brings me to tears. God didn’t ask me for anything more than he gave himself, but then, he is very generous, so it was a lot. 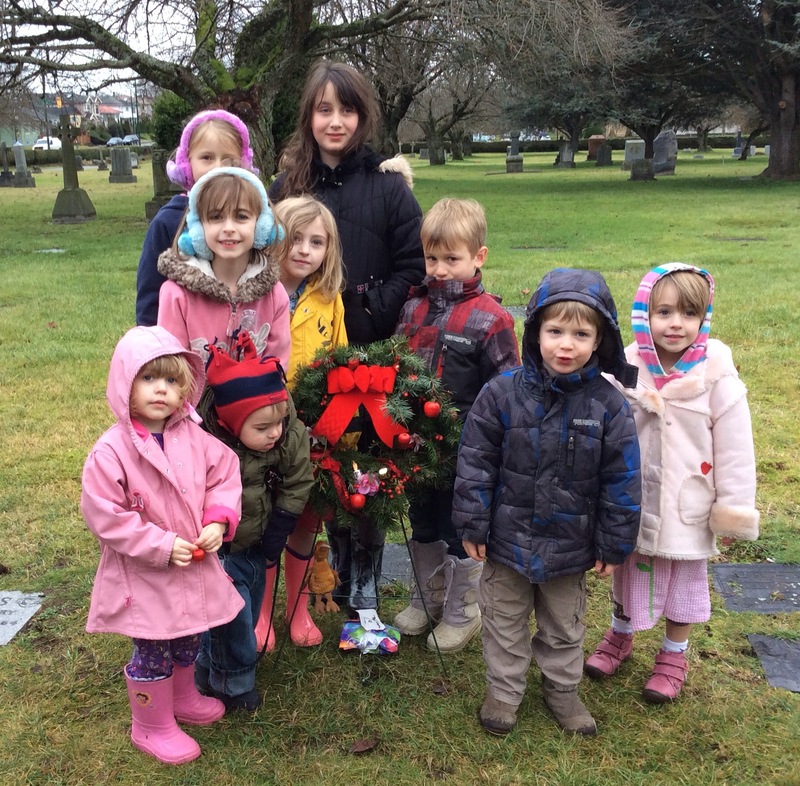 My other children had a lovely time with our wonderful family who came to be with us on Christmas Day, and I am so glad, but for me it wasn’t really Christmas until we decorated baby Josephine’s wreath on Boxing Day. Our neighbours who are good friends of ours came along, too. That meant a lot. There isn’t much I can do to feel better right now, except to reach out to others in my brokenness, and let them know they are not alone in their pain. As my friend Julia wisely pointed out to me, everyone has some secret burden weighing on their heart. Perhaps me being vulnerable can open the door for others to share their struggles as well, and in the sharing, be consoled. It has been said that it is in showing mercy that we give others hope, so this is my goal, to spread a little more hope. So as part of my own healing, I am reaching out on behalf of a family in the Philippines who is struggling and needs support, and sharing their story with you once more. They are my friend Christina’s nanny Mercy’s family. I’ve met Mercy a few times. The first time she came with Christina and her mom Lynne to help me organize and declutter my house. A task equivalent to rollerblading up Mt. Everest, but they did wonders, and took away a van load of stuff. For me this was a great act of mercy! The second time was earlier this month, to talk about the idea of starting a group funding campaign for Mercy’s extended family (parents, siblings, nieces and nephews, etc) whom she has supported by herself for over 20 years. With shy reluctance, she began to tell me her story. Growing up too poor to own chairs. Eating the cheapest dried fish with her siblings. The region plagued by unemployment. Then, long years away from her home, sending back every spare penny, as she still does. And now, she has been forced to take her father home from palliative care because the hospital cost too much. A while back, sitting by his bedside, she complained of the heat, to see if he still understood her words. He tried to fan her despite hardly being able to move, because she is still his baby, even though he is dying. Her diabetic mother is unable to visit the doctor for treatment and medicine, again, because it cost too much. Mercy’s meagre savings were recently drained by her niece Chloe being born very sick and needing a month in intensive care. Chloe hasn’t been able to breast feed, but paying for formula means that the other family members eat less, since it’s about $90 a month. Chloe’s mother is planning to move to Canada as well to help support the family and will have to leave her baby girl behind. What a choice to have to make, to leave your baby, in order to make sure she has enough to eat! Now Mercy is trying to buy a small piece of land further away from the unsafe volcano base where her family currently lives, and the second half of the payment is due in early January. Her fundraiser has just over a day left. Would you consider helping her out by making a donation or sharing her page with others? Perhaps you could give $10, the price of one fancy New Year’s Eve drink, to symbolically toast the good health of Mercy and her family. Or perhaps if Santa has been generous with you this year, you could give more. My kids saved up $35 in change by doing extra chores and proudly donated it. I added a little more. Every bit helps.